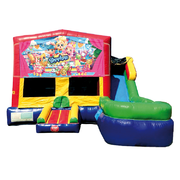 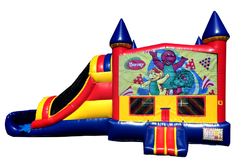 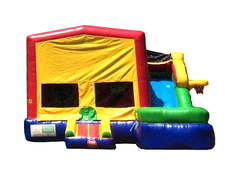 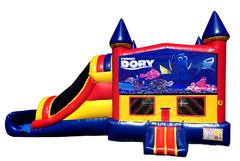 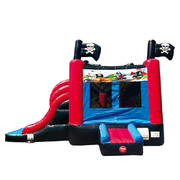 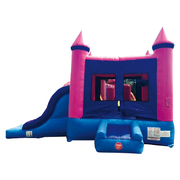 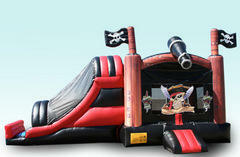 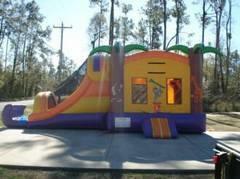 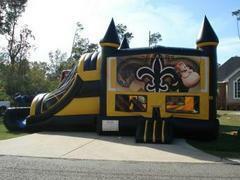 A wide selection of bounce house combos that we rent for parties and events on the Mississippi Gulf Coast. The combos often offer two type of activities in one bounce house. 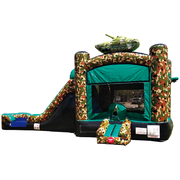 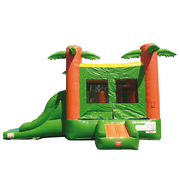 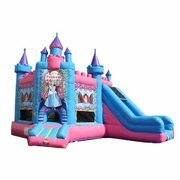 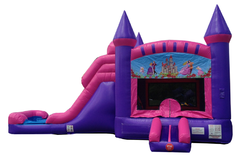 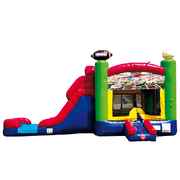 For example one unit may have an inflatable jump area in the bounce house, as well as a slide. 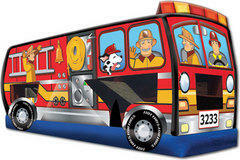 These are dry units and can be used year round. We deliver to Slidell, Bay St. Louis, Waveland, Kiln, Diamondhead, Pass Christian, Long Beach, Gulfport and Biloxi as well as other surrounding communities. 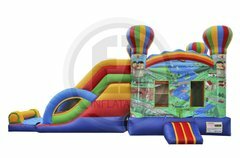 Browse the selections below and click on the "More Info" link for more information and to make a reservation.